Cook County Department of Corrections (CCDOC) Steward Diahann Goode has been elected to serve as President of the Teamsters Joint Council 25 Women’s Committee. Her two-year term will begin Jan. 1, 2018. The Joint Council 25 Women’s Committee Executive Board elects its officers with the majority vote of the board, which consists of one representative from each Local. Diahann has been the Teamsters Local 700 representative to the committee’s board since 2012. She ran for the position of President unopposed. 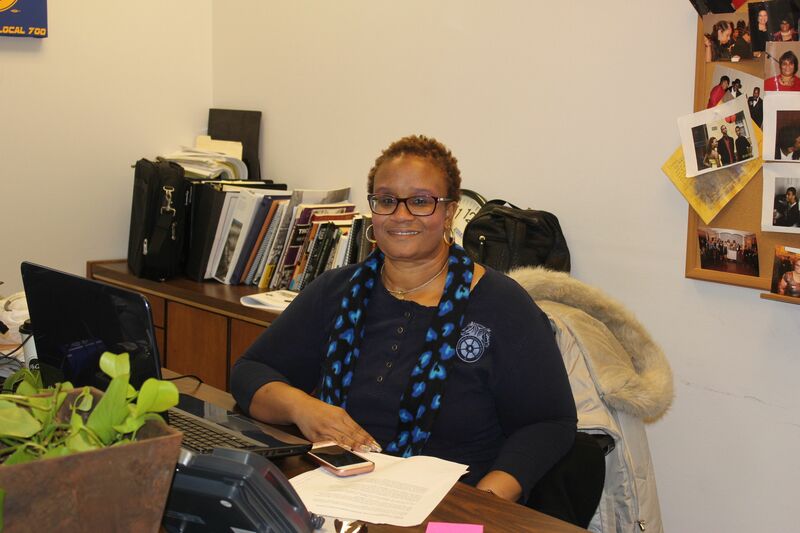 In addition to her Women’s Committee responsibilities, Diahann has been a Teamsters Local 700 steward for the CCDOC for many years and serves as the communications director for the bargaining unit. She is also the Treasurer for the Chicago Chapter of the Teamsters National Black Caucus and is a member of the Teamsters Local 700 Political Committee. Diahann is also serving her second term as a Cook County Pension Fund Trustee after being re-elected in September 2015.